Damaged Esophagus? - Andrew Weil, M.D. What can you tell me about Barrett’s esophagus? Are there any supplements, lifestyle or dietary changes you recommend for dealing with this condition? Barrett’s esophagus stems from damage to the lining of that organ as a result of gastroesophageal reflux disease (GERD), in which stomach acid backs up through the esophagus, causing painful irritation. With constant irritation, normal cells transform to resemble those of the intestinal lining. “Metaplasia” is the term for this kind of cellular transformation. It is characteristic of Barrett’s esophagus and is considered a precancerous condition. It occurs in 10 to 15 percent of people who have long-term GERD. Patients have less discomfort once the cells have changed; however, five to 10 percent of them will develop esophageal cancer. 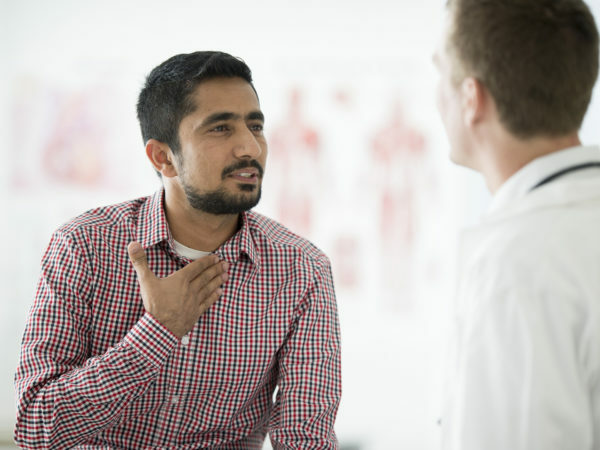 Men are more likely to develop Barrett’s esophagus than women. Being overweight increases the risk as does being a current or former smoker. In addition to heartburn, symptoms may include difficulty swallowing, and, sometimes, chest pain. Not everyone with this condition has symptoms, and not everyone with these symptoms has Barrett’s. Barrett’s esophagus is diagnosed by endoscopy, a procedure that allows doctors to view esophageal tissue and remove samples for microscopic examination. Depending on the extent of the changes seen, endoscopy may have to be repeated periodically. Once esophageal cells transform, they will not revert back to normal. Treatment focuses on preventing further damage by stopping acid reflux from the stomach. A combination of dietary changes, supplements, and other lifestyle measures can help reduce GERD. First of all, I suggest switching to my anti-inflammatory diet. Take deglycyrrhizinated licorice (DGL) to soothe the esophageal lining. Chew two tablets slowly before each meal or between meals, or take one-half teaspoon of the powder before meals. Continue as long as you have symptoms. Reduce or eliminate alcohol consumption (if you take an occasional drink, make sure there is food in your stomach). Avoid coffee and decaf, both of which can be irritating. Switch to chamomile tea, which can help soothe the digestive system. Avoid any food you find irritating – chocolate, peppermint, raw onions, tomatoes or citrus fruits are common culprits. Don’t eat within two to three hours of bedtime. Try visualization, a mind/body technique that could help you manage your symptoms. Elevate the head of your bed by using blocks or foam wedges to reduce reflux while sleeping. 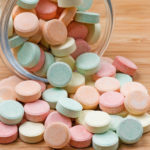 Take two enteric-coated baby aspirin a day to reduce your risk of cancer. The goal is to get the disorder under control quickly. 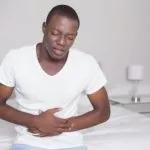 Prescription medications that block stomach acid production, such as Prilosec, Prevacid, Nexium, Aciphex or Protonix, work but cause severe dependence when used long-term. The over-the-counter drugs, Pepcid, Tagamet, Axid and Zantac can help relieve symptoms. Surgery may be recommended for people with severe long-term reflux that is resistant to drug treatment. 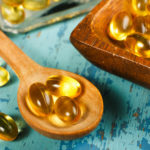 Does Fish Oil Help With Heartburn?